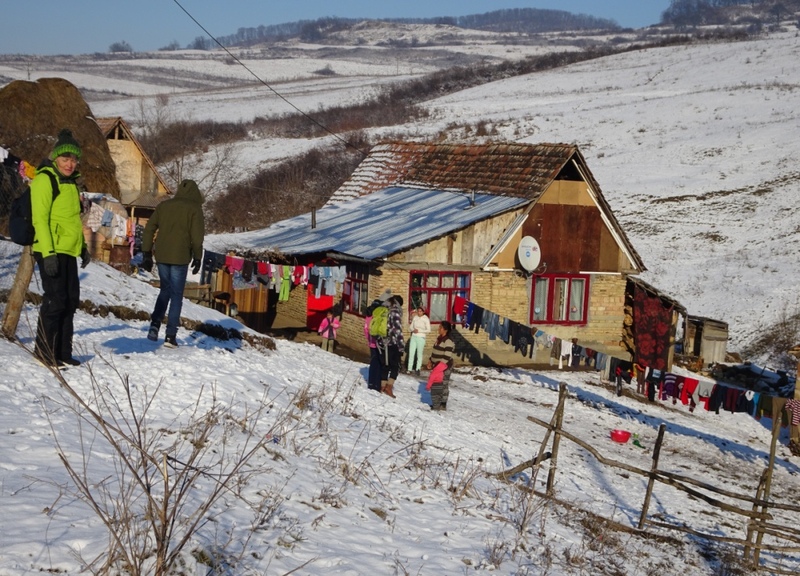 This year we experienced one of the heaviest winters of the last decade in Romania.We had many days with temperatures below -5 °C, a lot of snow, sometimes strong winds. In one of these days we had -25 °C in the morning in Sighișoara (in some places, not far from here, we heard about some -30 °C, even lower). 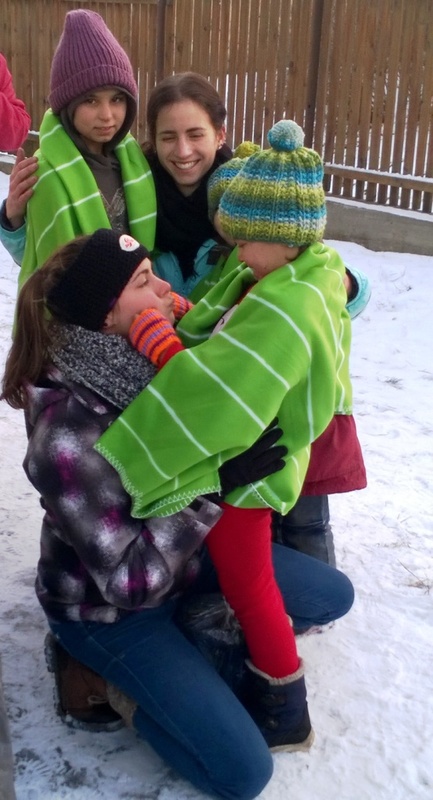 There is no better time to give warm shoes, socks, caps, scarfs, gloves, pullovers, blankets, baby bags, candies and big hugs and smiles to the little kids in need and their parents than this one. Two teams of Swiss, Belgium, American, Austrian, Swedish and Romanian warm hearted folks – about 50 people in total – made posible this project, once again. 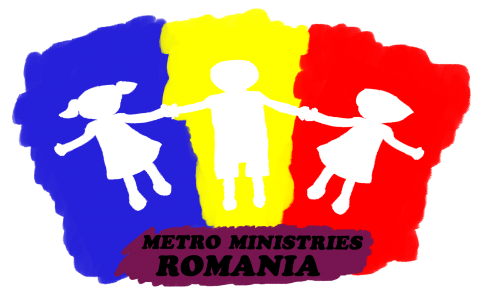 As usual, along with all the goods distributed, we also had a „Metro program” with the kids and adults, with games, songs and Christmas teaching. 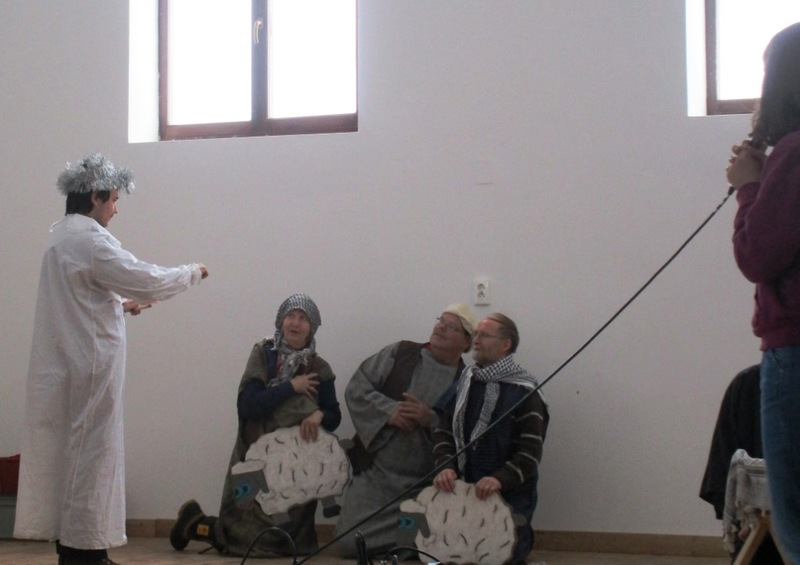 The point of this year`s lesson was „Christmas is about Jesus”, challenging the kids to look at the Birth of Jesus as the core of these cellebration, beside the other things, like Christmas trees, gifts, Santas, carols, good cakes and other traditions added over time. 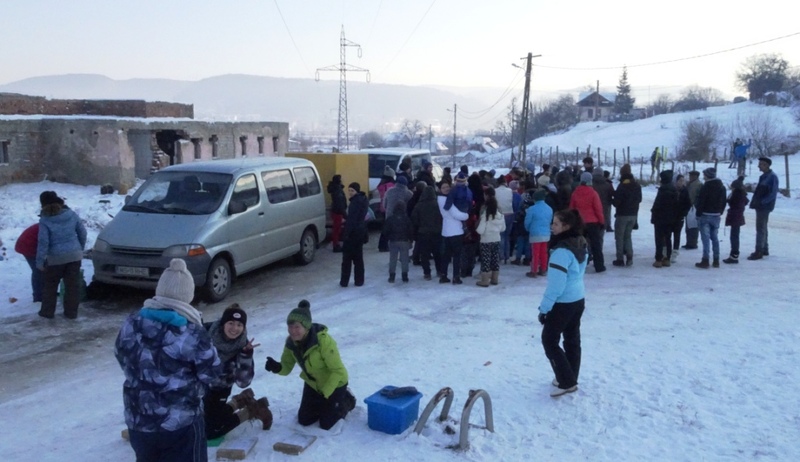 The Metro Ministries staff and volunteers tested the snow with three pre-Warm Feet programs in Goldberich neighborhood and in two villages (Criț and Bunești). 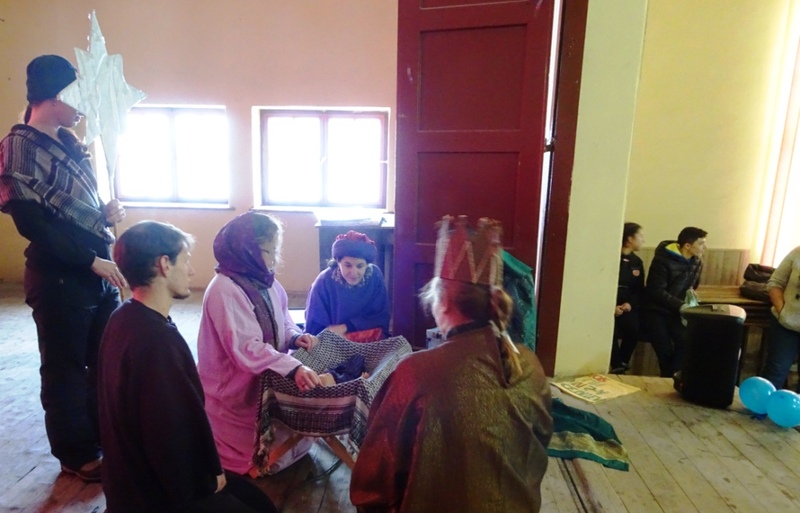 Then, starting with 28th of December, until the first day of New Year, we had outreaches in 18 sites around Sighișoara. Four of this sites were new this year: Iacobeni, Netuș, Noiștat and Stejeriș. The partnership with the local schools in these places (they are a part of the same municipality) worked great – the principal and some of the teachers helped us in many aspects – and the programs were received very well in the communities. In the places we`ve been in the previous years we observed the people responded better to the program than in the past. They were more calm and respectful; also, we saw many of them giving us a warm ”Mulțumesc!” (Thank You) at the end. 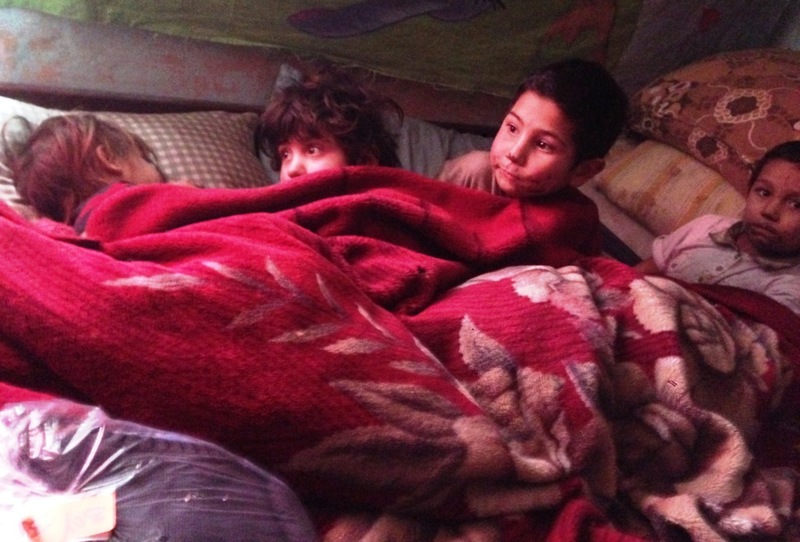 We reached over 2800 kids, 110 babies and about 1000 adults by this project. 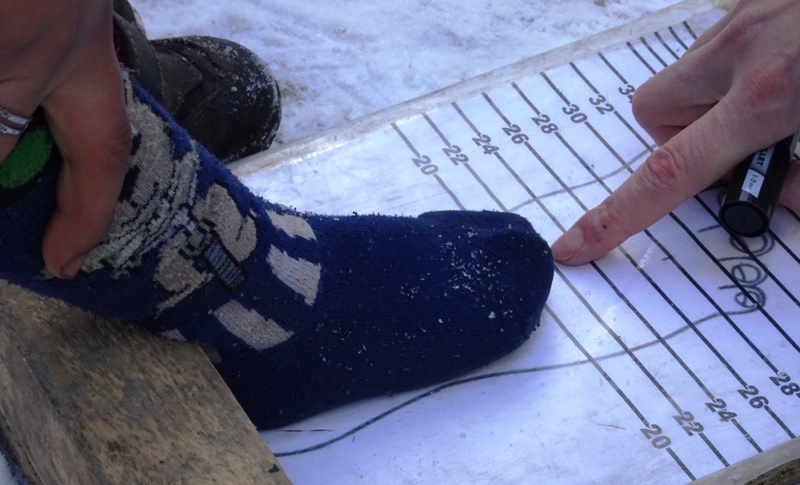 We also have over 2000 pairs of boots distributed by our partners (churches or other NGOs) in places we could not reach directly. Big thanks to all who made this possible! May God reward our hard labour!